Through your sacrifices, active service members and veterans like you have earned access to special home financing called a VA Loan. Most buyers can only borrow a portion of the house’s appraised value. But since the VA guarantees a portion of the loan, you can borrow up to 100% of the value without Private Mortgage Insurance. In Michigan, the maximum you can borrow is $417,000. The specific amount you can borrow is determined by your monthly salary, taxes, and other monthly debt payments. So if you qualify for a mortgage with a payment of $1,400 and have a car payment of $400 per month, your family must bring home $5,200 per month after taxes. While there is no down payment required, there are some small fees. You will need to pay a one-time fee to obtain the loan, which ranges from 1.25% for 10+% down to 2.15% for zero money down. If you have service-related disabilities, or are the surviving spouse, you are exempt from this. There are also a few options for managing closing costs. You may choose to pay them out of pocket. You can also may be able to roll them into your loan, as long as that doesn’t push the loan over the appraised value of the home. Or you can pay a 1% fee to the lender. At McLellan Financial Mortgage, we have access to a wide range of lenders, which gives you more choices. And as a veteran, you deserve the best options. If you’ve served your country and are ready to buy a home, give us a call. We can help you get the financing you’ve earned. Because at McLellan Financial Mortgage, we do more than close loans. We open doors. 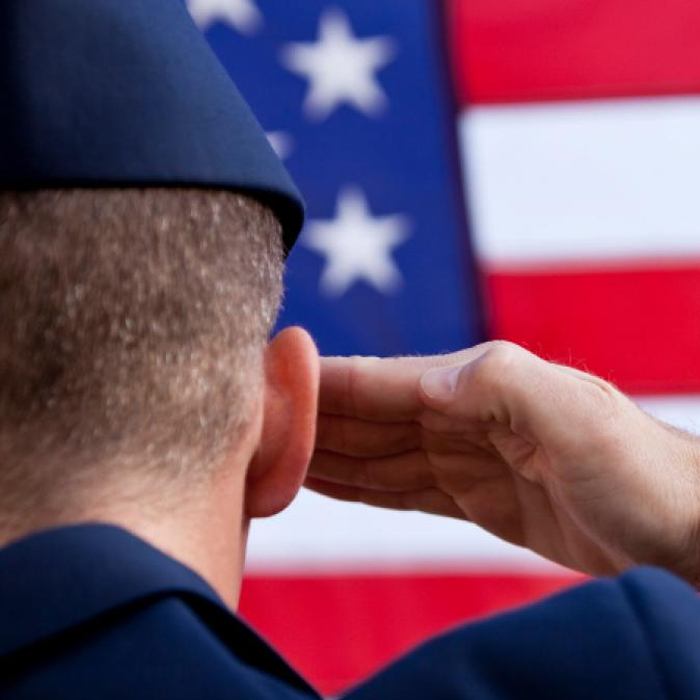 If you’ve served our country, you’ve earned the benefits of a VA loan. We can help you make the most of it and get you into a home you deserve.